Florida Residents Save up to 15%! 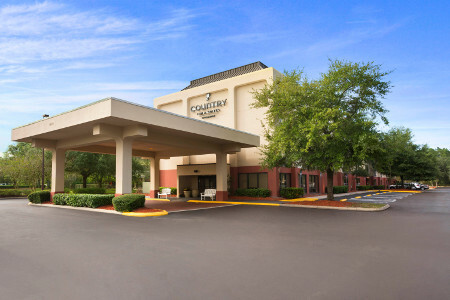 Enjoy attractive accommodations 10 minutes from downtown Jacksonville at the Country Inn & Suites® by Radisson, Jacksonville I-95 South, FL. We are also less than 15 minutes from the Mayo Clinic and provide a complimentary shuttle to the hospital. Sports fans can get tickets to see the Jaguars at EverBank Field or the Jacksonville Jumbo Shrimp at the Baseball Grounds of Jacksonville. 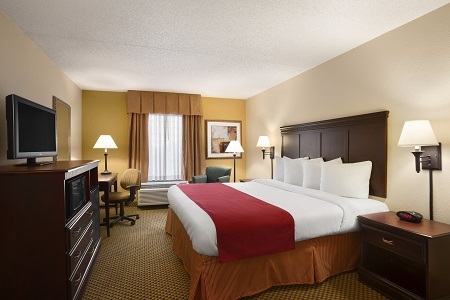 If you’re in town for a concert at Metropolitan Park, our hotel in the Baymeadows community puts you within 10 miles of the venue. 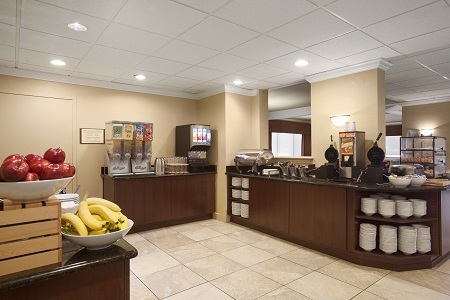 Before you set out for a day of exploration, fill up with a delicious meal at our complimentary, hot breakfast, served in the welcoming dining room. Crowd your real diningware with favorites like pastries, fresh fruit, yogurt, make-your-own waffles and more. We also have a daily selection of hot items for you to sample. A variety of great restaurants are less than a mile from our property, making it easy to find a place to eat lunch and dinner. You can get your caffeine fix at Starbucks, grab a quick burger at Whataburger, or have a sit-down meal at Applebee's. Beaches – Spend a day sunbathing and playing on Jacksonville Beach, Neptune Beach or Atlantic Beach, all within a 20- or 30-minute drive. From May through October, be on the lookout for baby sea turtles! 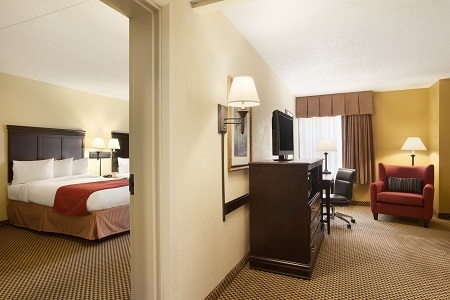 Sports Arenas – Three sports venues are less than 10 miles from our hotel. Get tickets to see the NFL Jaguars at EverBank Field, the Jacksonville Sharks at Veterans Memorial Arena or the Jacksonville Jumbo Shrimp at the Baseball Grounds of Jacksonville. Metropolitan Park – Music lovers won’t want to miss this stunning waterfront park that hosts top musicians on its expansive stage, less than 10 miles away. Past notable performers include Idina Menzel, Michael Bublé, Styx and Tony Bennett. When you need a place to host business events or social celebrations, look no further than our 675-square-foot meeting room. The space accommodates up to 50 people and comes with audiovisual equipment for an additional fee and free Wi-Fi to help you deliver effective presentations. 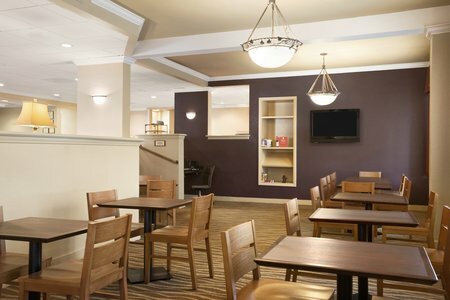 Let our professional staff suggest catering options and help you arrange the room in a configuration that best suits your needs.